Hip Hip Hooray for Pet House Freshening Room Spray! I have a Black Lab, Harley, who I adore; however her dog-smell, I could live without! Regardless on how frequently I bathe her, wash her blankets and bed, vacuum and clean the house; there is still a lingering pet odor that just won’t go away. I’m always on the lookout for fragrance products to help my home smell fresh again. 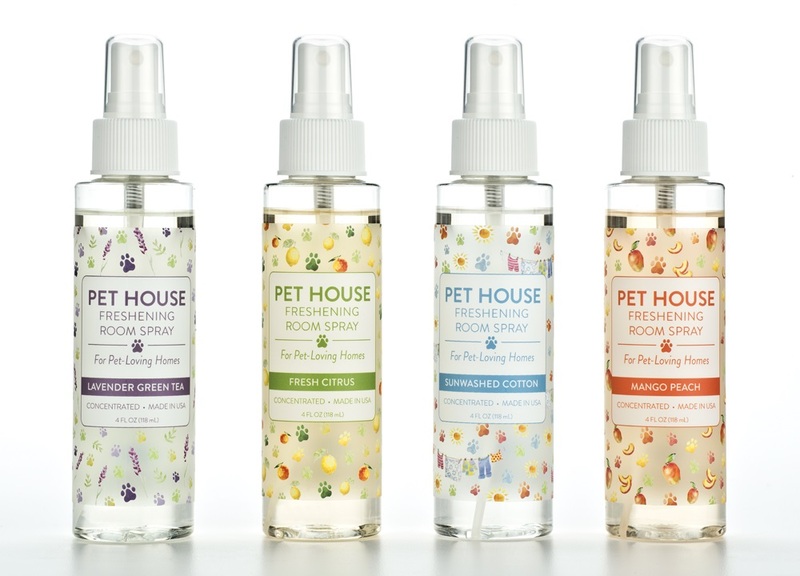 I’m pleased to say the Pet House Room Spray has been the best find yet! I only purchase items for my family that are non-toxic, safe and as natural as possible. This room spray is all of these things and more (free of allergens too!) Before purchasing, I was intrigued to read that Pet House uses an effective odor neutralizer that does not just mask the smells, but actually eliminates them. To my surprise, this spray definitely has lived up to this statement. I do NOT need to overuse in order to cover up the odor. About three sprays seem to last for an entire day! Mango Peach has been a great summer scent for us. It smells absolutely delicious, but luckily, it’s not too overpowering. It’s the perfect hint of freshness. Another added bonus: it’s made in the USA and there are no dyes or preservatives. In addition to Harley, I have a one year old, so using high-quality safe products is a must. My mind is put at ease thanks to this fabulous freshener. All I can say is, hip hip hooray for Pet House Freshening Room Spray! This entry was posted in Product Review and tagged One Fur All Pets, Pet House Room Spray on August 7, 2017 by Rebecca Symon.